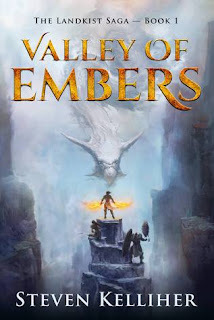 Valley of Embers is a powerful debut by Steven Kelliher which is incredibly fast, fantasy fuelled and action packed, despite being set in another world there is no info dumping which is a big pet hate of mine. I have to admit the start of the novel was a bit slow, but it's definitely worth persevering with. The style of writing is really very good and I loved the little extra touches such as the names for all the chapters. Without wanting to give away too much of the plot and ruin it for those who have not yet read this, the action starts off very quickly and the plot is constantly changing keeping you on your toes and exhilarated. There are big changes going on in the world beyond the valley and only Kole seems to be aware of this. This book also has a great feel of old school fantasy with evil magicians and fey folk! 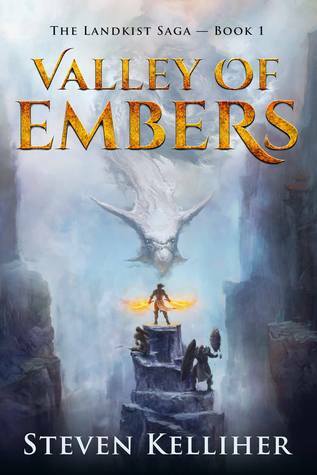 There's a lot of magic in Valley of Embers which I love in books and it is fresh and original. The tale is told through different viewpoints which gives the reader a big scope of the story. I like how the characters are not simply divided between good and bad which makes them feel human. All in all a great debut and I'll be waiting for the next instalment!